Batman has been the recipient of some iconic themes in his seventy-five year history. For more than twenty years that was The Batman Theme. In 1989 Danny elf an put together the one they used in the Batman movie. Which if you’ve spent many hours watching the Animated Series it should sound the same, because it is, tweaked ever so slightly. Batman: brave and the Bold had another fantastic theme tune. Much of the show takes place Ina succor to that old Adam West starring show, and has a similar jazzy start-up I think is pretty good. Of course that Sunsoft NES Batman game had a great level-1 song as well. Theme songs are all well and good, but you know. Sometimes, you have to hear the man song himself. Zack Snyder posted a picture last week unveiling the new Batmobile and Ben Affleck in his New Batman suit. Which for a single black and white still photograph, that shows off what everything conceptually looks like, but not giving away every small detail, looks pretty good. There are still haters though. That makes me sad, until I see the movie I’ll be cautiously optimistic. I like the Justice League way more than I do the Avengers, and that Marvel Studios did a good job with those characters. I want my favorite characters to do a better job. First thing I saw poking fun at New Batman was the symbol. Someone drew a fat bat with an empty bag of chips, and a dripping soda can by its feet and labeled it “diaBATese”. Which I thought was a bit misguided, because my first reaction was, “Hey looks like The Dark Knight Returns logo, you know, the one with the grizzled old Batman, that everyone says is at the top of their must-read Batman list.” Not everyone has read it, or maybe they are too young to understand. Whatever, move on. Then there were the “colorings”. Initially a bevy of people trying to colorized the photo as best they could to what could be true colors. I saw a few good ones. Then people got more “creative” with the color. Pinks and pastels were the main palette. All are fine colors. Some of them Batman has worn, but if you’re serious about calling this the New Batman colors you need to stop. I am real hopeful that they were sardonic in nature and their tone just didn’t translate well onto the internet. Thirdly I saw people complain about his shorter ears. I like them. I think long pointy bat-ears are silly. At some point Batman has to walk through a doorway, or jump out of a window, and he would look extra dumb hitting them and falling down, because he’s taller than he looks. That’s also why Jim Lee draws Batman with shorter ears. It’s a practical thing. And finally, you might have seen a couple dozen of these, “Sad Batman” meme pictures. Yeah. The one character where brooding around looking tough-sad is his thing. looking a little down is going to happen. I admit, I didn’t see the sad at first because, I wasn’t looking. But there he was. With sad Keanu on a bench, and Batman all cut out and memed up with captions like, “Clark why won’t you play with me”. Annoying silly stuff. 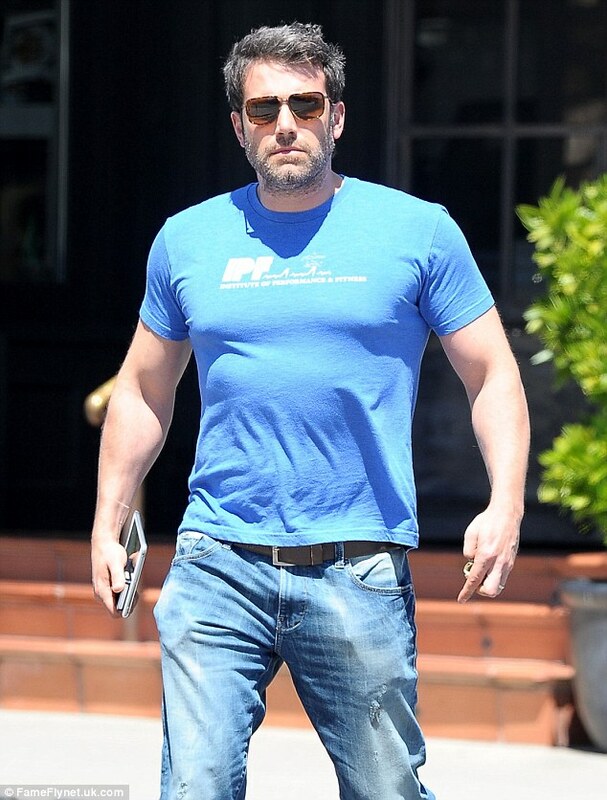 Ben Affleck has put more into being Batman than you thought. I think Ben Affleck will do fine as Batman. There are movies he’s in that I like. What has me worried about the movie is the director, Zack Snyder. Specifically Man of Steel, where Metropolis is falling apart and Superman doesn’t save a soul during the whole scene, but has to, in the end kill Zod, because there’s no other choice. Anyone who has read five issues of the Superman comic could tell you five different ways that’s not true at all, and I could go on about Superman killing is just a remarkably horrific idea you only do when you don’t understand Superman. But I won’t. I’ll just leave with a quote. You know that quote from Jay and Silent Bob Strike Back.